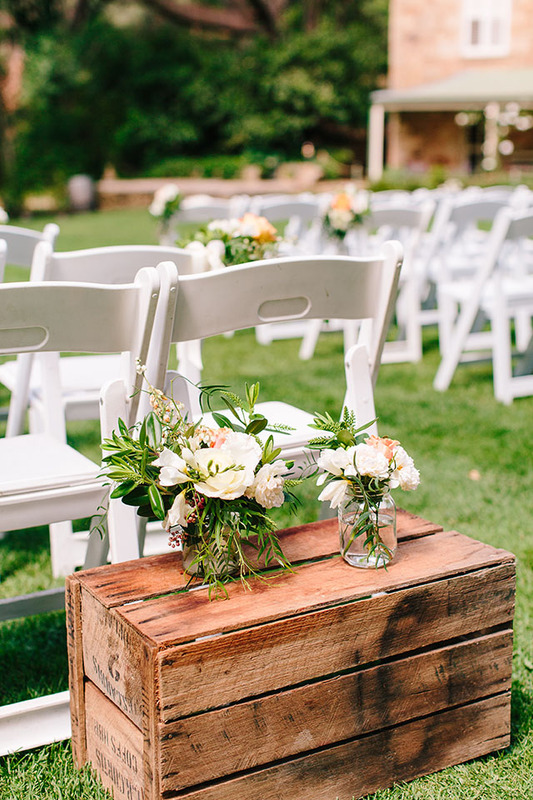 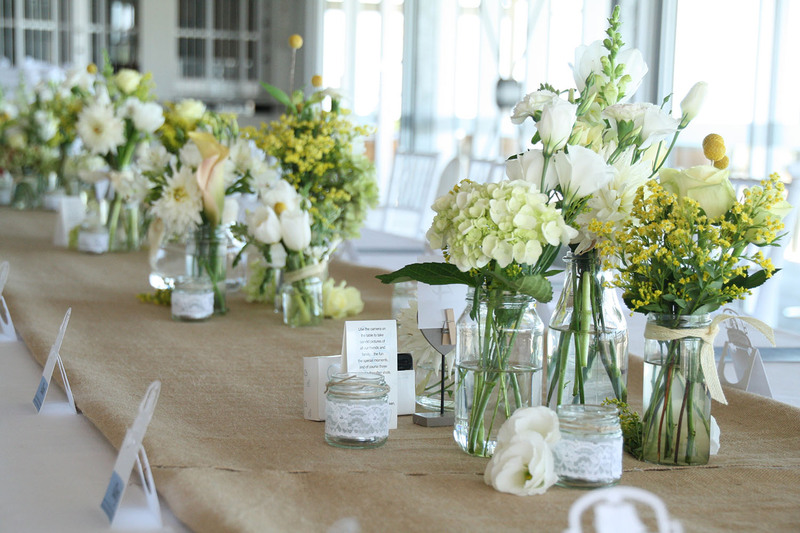 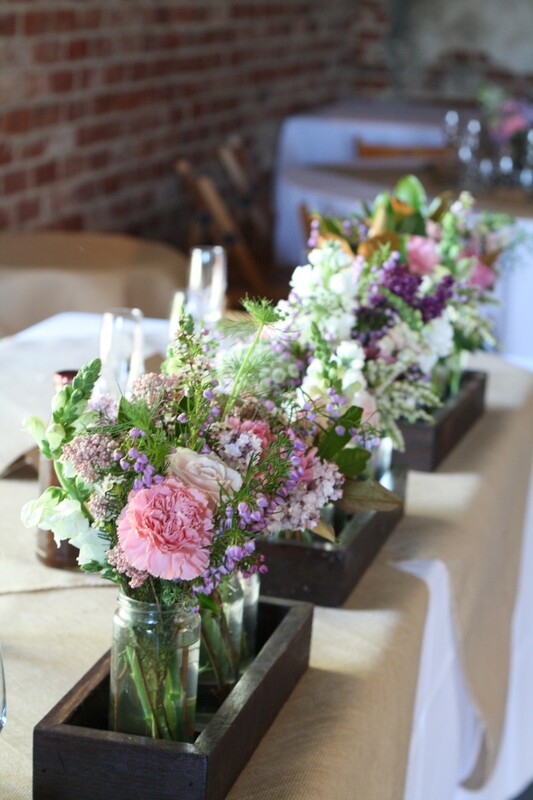 Jam Jars and Milk Bottles are a cute vintage design to decorate your ceremony or reception space. 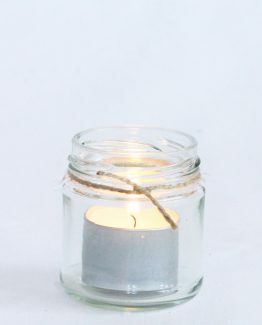 You can order single a jam jar/milk bottle or sets of 3 or 5. 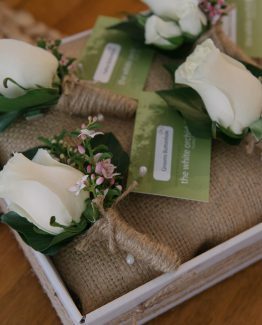 A very budget friendly option as you can have just a few scattered around or order many sets to run in a line down the middle of guest tables. 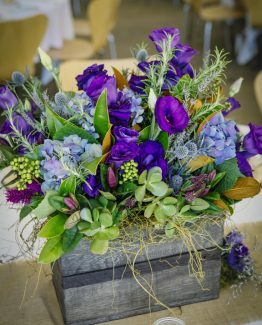 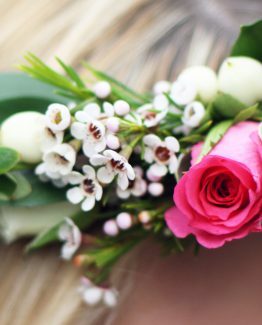 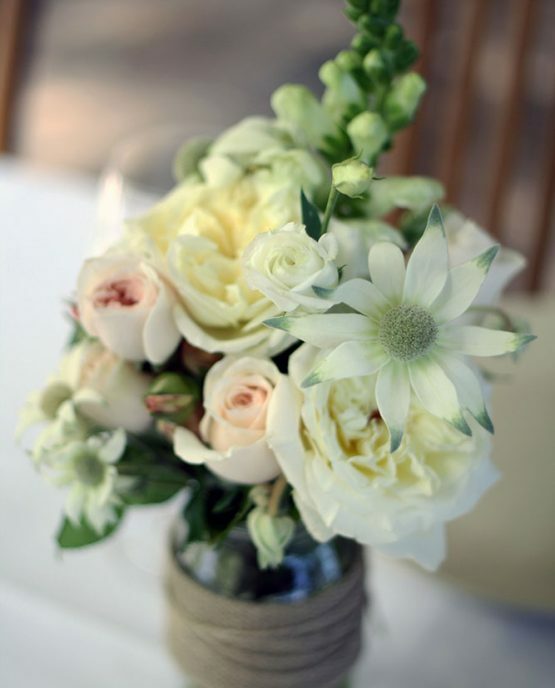 Seasonal mixed varieties of flowers are best for this design, available in a variety of colours. 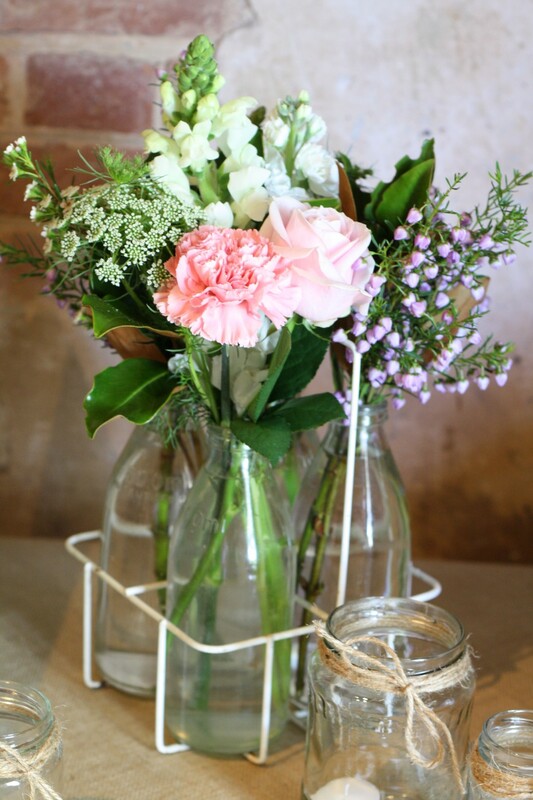 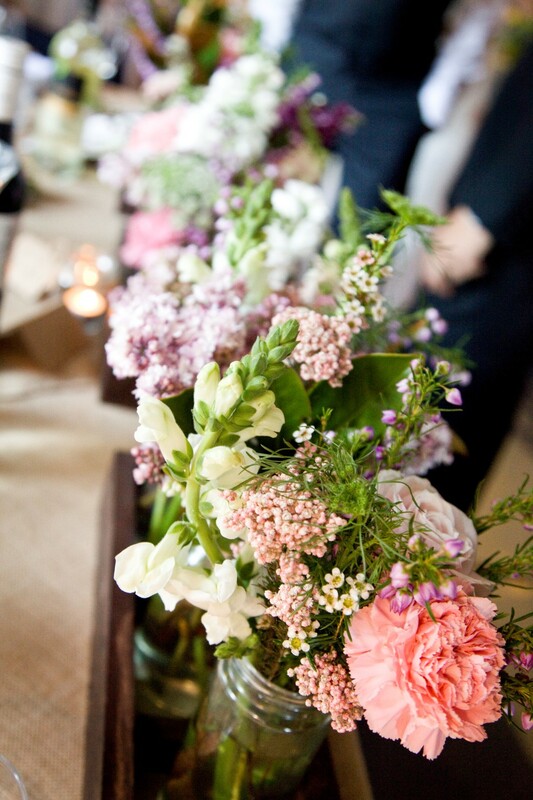 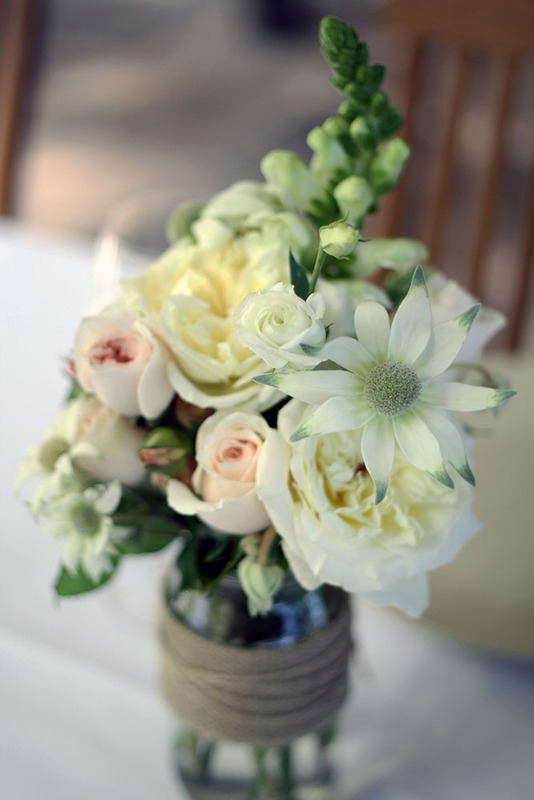 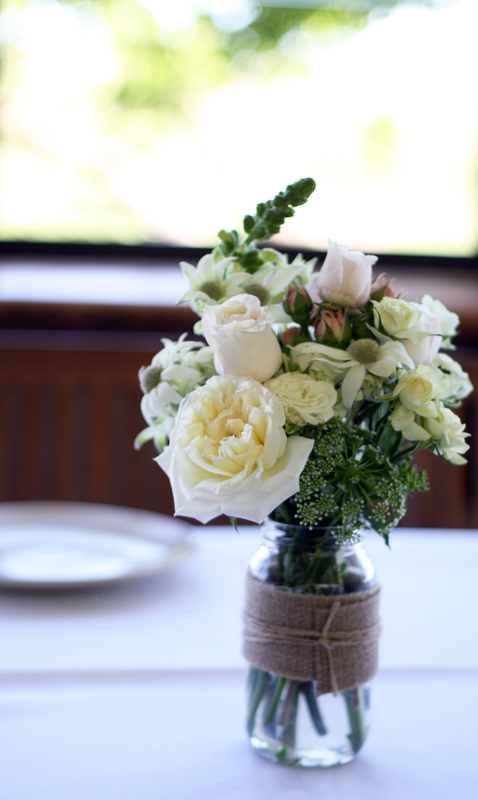 Jam Jars/Milk Bottles are included in the price of the arrangements, vessels are not hired.